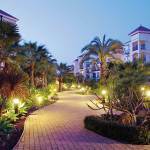 Welcome to Marriott’s Playa Andaluza, on the Spanish Riviera of the Costa del Sol. 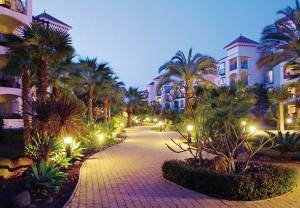 This stunning oceanfront resort is near the “Millionaire’s Paradise” of Puerto Banús, an exclusive marina made famous by royalty. 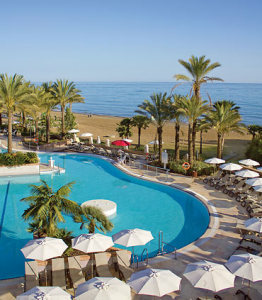 Marriott’s Playa Andaluza is conveniently within reach of Marbella’s glamour, yet tucked away in the small town of Estepona, where the quiet charm of southern Spain is preserved. 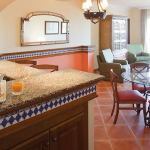 Enjoy the pools with oceanfront views, delight in the jewel-toned waters of the Mediterranean and return to your elegantly appointed apartment to recharge for a lively night out. 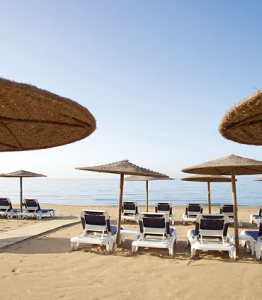 After a day of sun and outdoor adventure, return to your comfortable and spacious retreat at Marriott’s Playa Andaluza. Enjoy all the conveniences of home, including a fully equipped kitchen and in-residence washer and dryer. 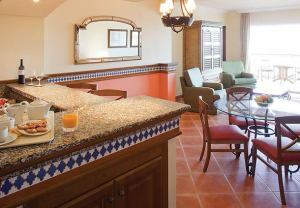 Your Marriott apartment is truly your vacation home away from home.